Arriving from an early flight with lack of sleep, one could only wish for a quick nap. 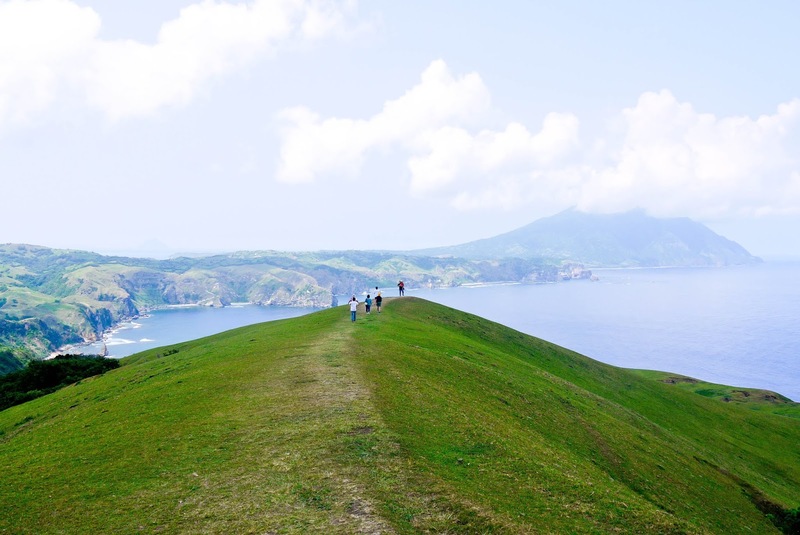 But who would want to spend time inside a hotel room when you're about to explore a beautiful island like this? We were set to do an exclusive North Batan Tour on our first day but days prior our trip, I was told that it was swapped with our 3rd day schedule. And so we're squeezed in with the group of senior citizens who were also staying in the same hotel and did the South Batan Tour first. It turned out to be a better arrangement as they were a crazy bunch. We made 7 mommy and daddy friends. Our tour guide, Robert arrived at the hotel around 9am and ushered us to our van which marked the start of the tour. 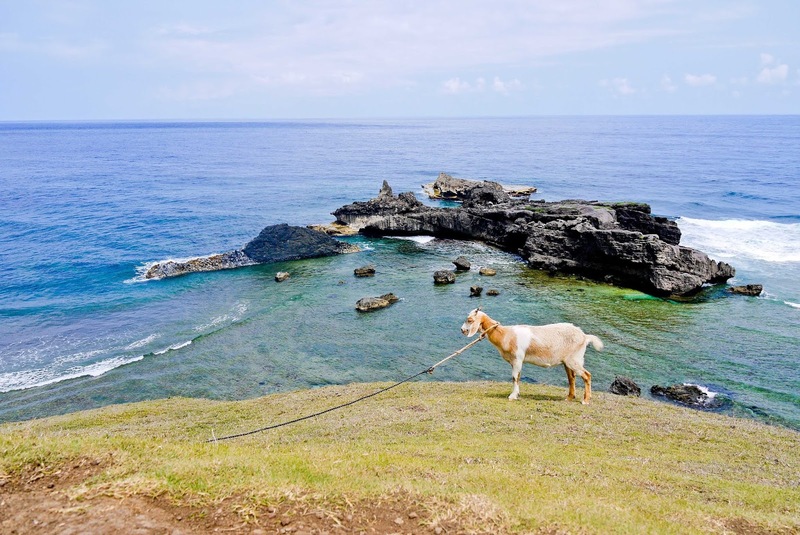 The southern part of Batan Island comprises of the towns of Mahatao, Ivana, and Uyugan. From Basco, where our hotel is located, we drove along the National Road to the nearest town, Mahatao and stopped by Chawa View Deck. 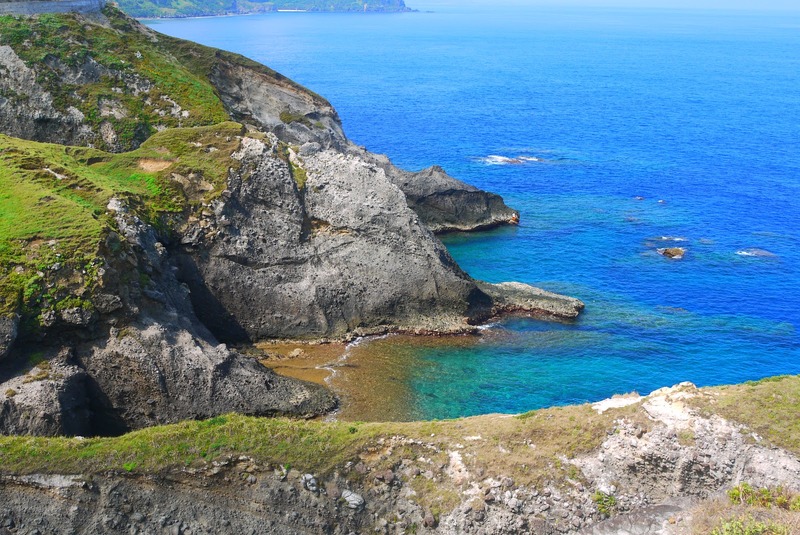 Chawa View Deck is located along the west coast of Batanes and offers an unobstructed view of the West Philippine Sea. 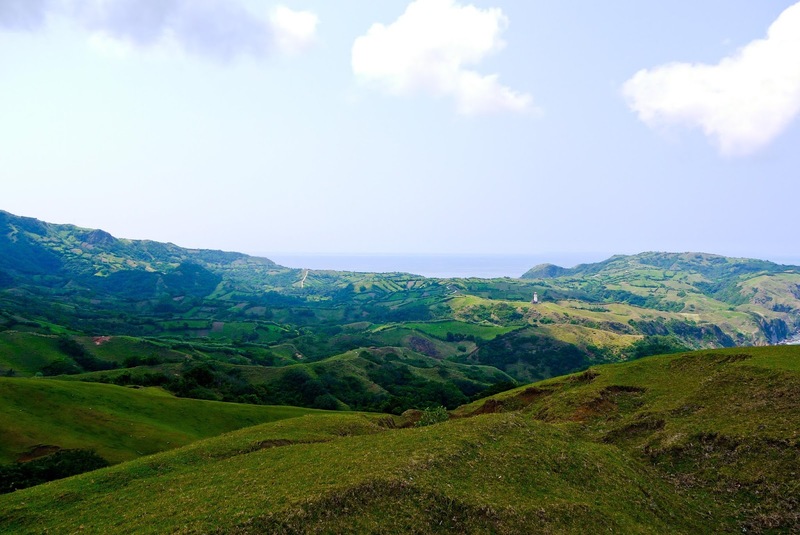 The water is just so blue, with the beautiful contrast of green hills. I can't stop taking pictures. My husband, trying to prove a point. 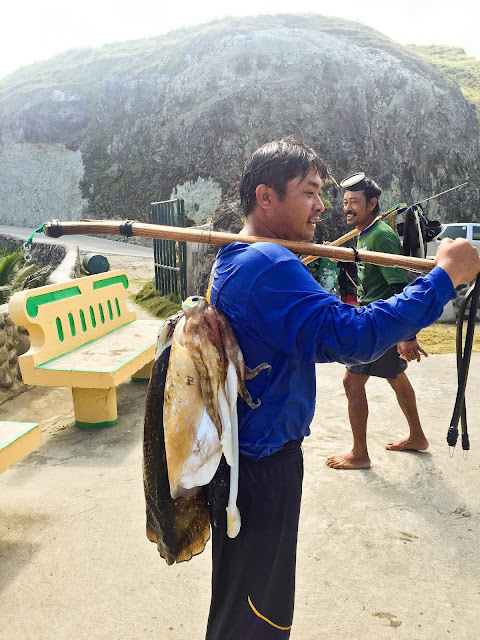 We saw some locals fishing and we waited until they went up to check what they got. And it was a giant squid! Of course I had to ask the Kuya if he can stop for a while so I can take a photo and he obliged and even said thank you. Hehe. Then we're on to our next stop, Mahatao Shelter Port. 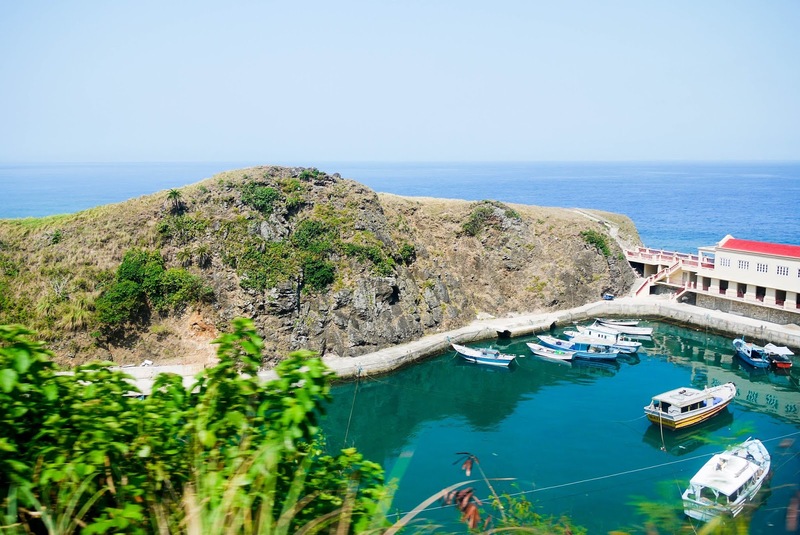 The shelter port, as its name implies, is used to protect the boats during bad weather. It is also called the Diosdado Macapagal - Jorge Abad Sr., Shelter Port. 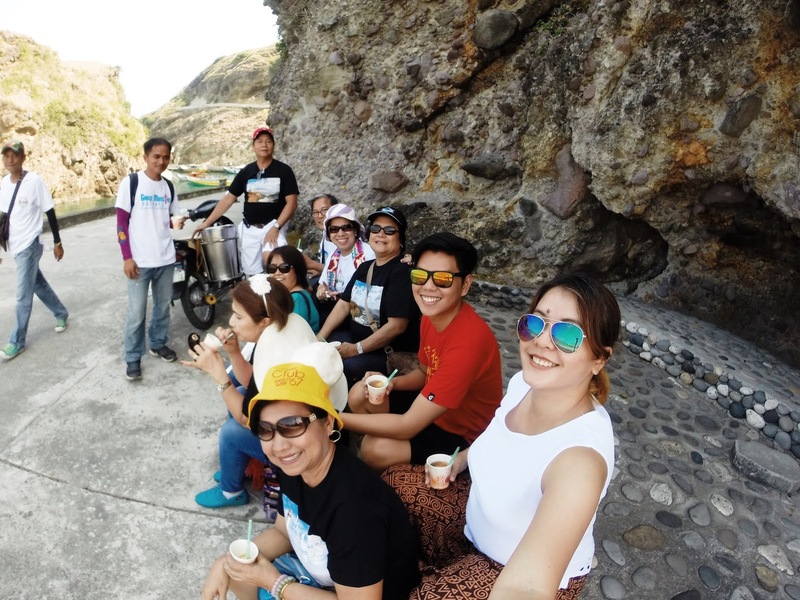 We enjoyed a taho treat before moving on to our next destination. 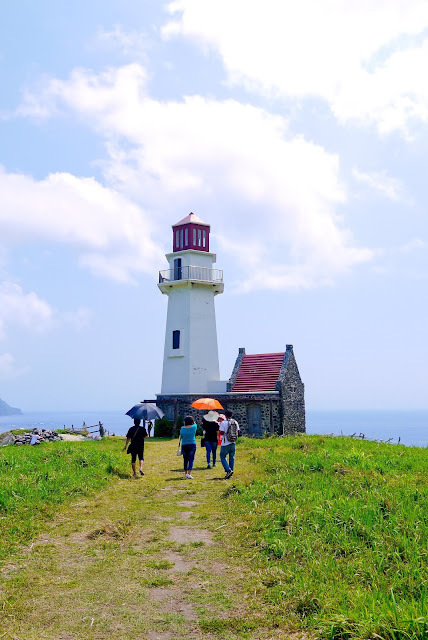 Tayid Lighthouse is one of the 3 lighthouses in Batanes and nestled among the hills facing the Pacific Ocean. It's a bit of a walk going there but the view was spectacular. It was getting hotter and hotter as we approached noon time. It was such a relief that our van was air-conditioned. San Carlos Borromeo Church. 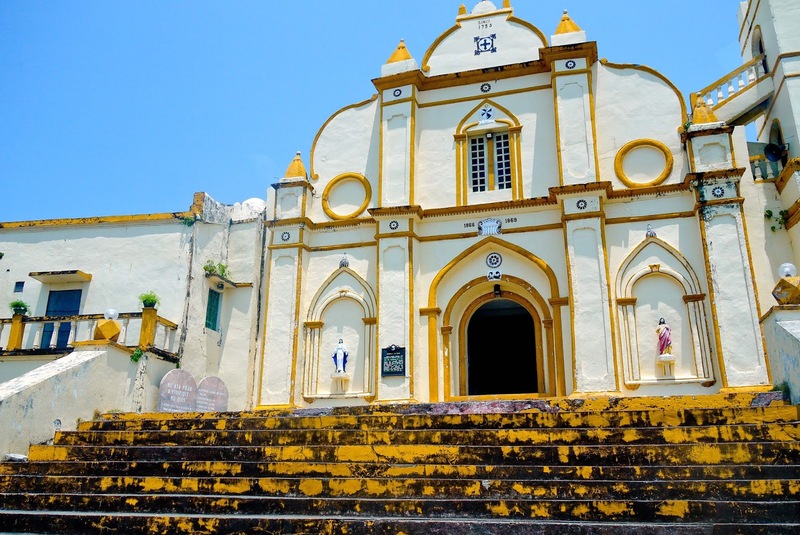 The first church was built in 1787 using light materials and later reconstructed using stone until it was destroyed by a strong typhoon in 1872. A year after, it was built again and followed a baroque style. The church was declared a National Heritage Treasure in 2001. 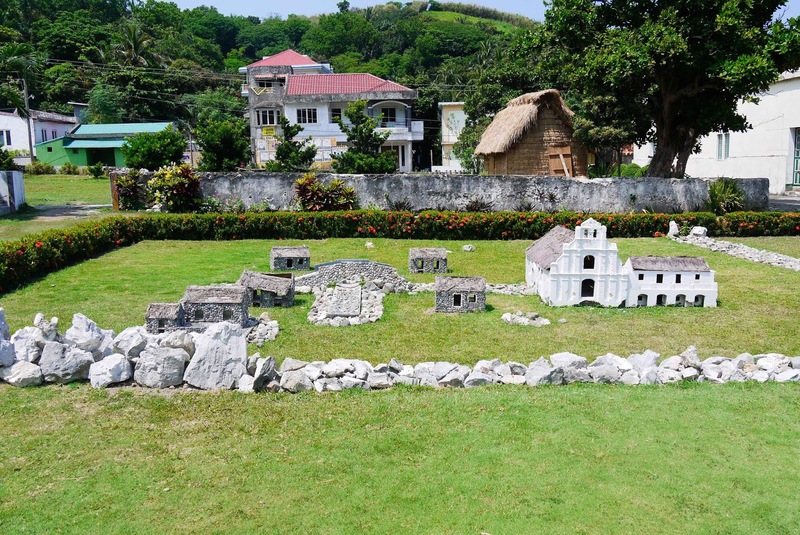 Outside the church, they built a miniature version of it and a small village. 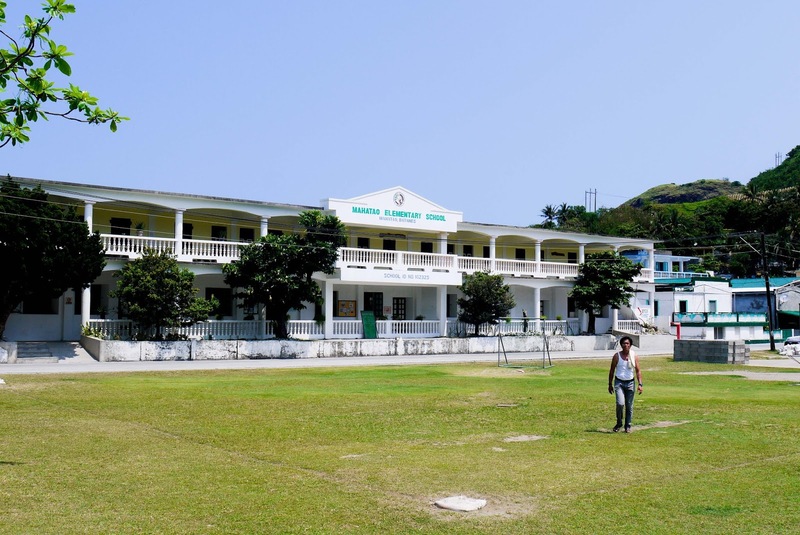 Across the street is Mahatao Elementary School. That was the last stop for the first half of our tour and we headed to some beach in Mahatao to have our lunch. 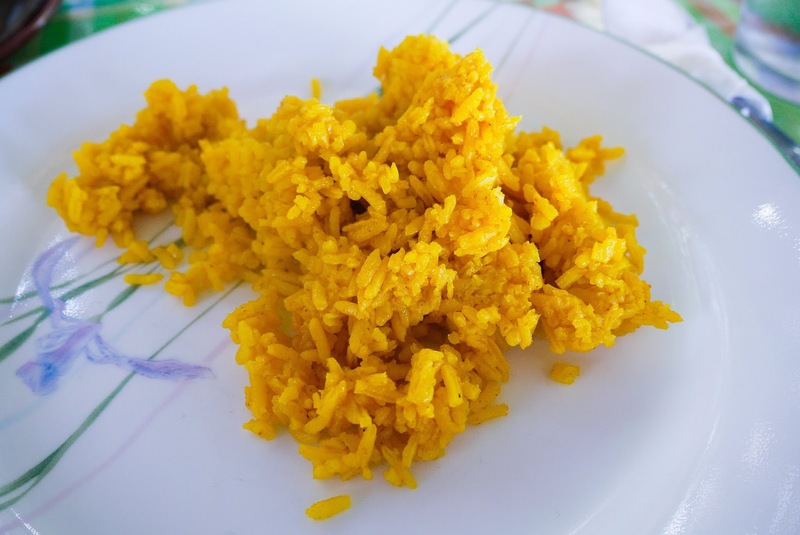 It was my first time to eat Turmeric Rice. It was good but the taste was overpowering that I didn't get to enjoy the other dishes. Just an old bridge made of limestone that is still accessible up to this day. 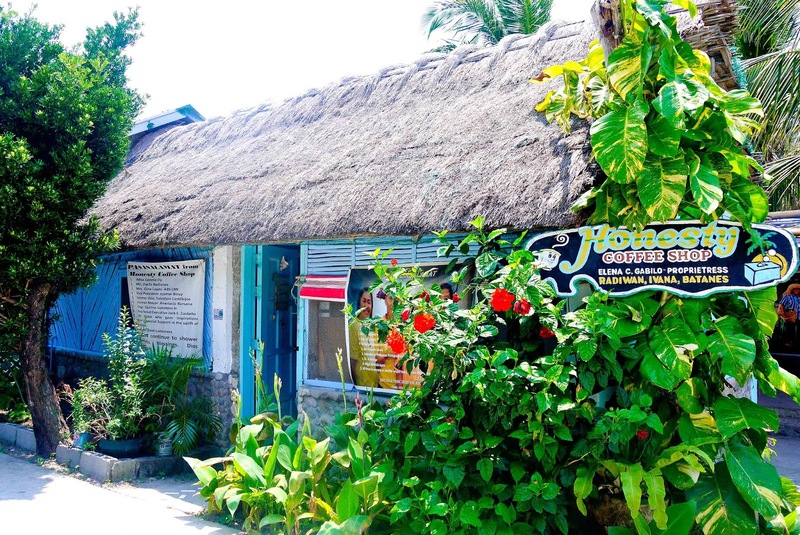 House of Dakay, the oldest Ivatan house, is one of the few houses in the town of Ivana that withstood the earthquake in 1939. Built by Luisa Estrella in 1887, it was later on passed to his nephew, Jose Dakay. 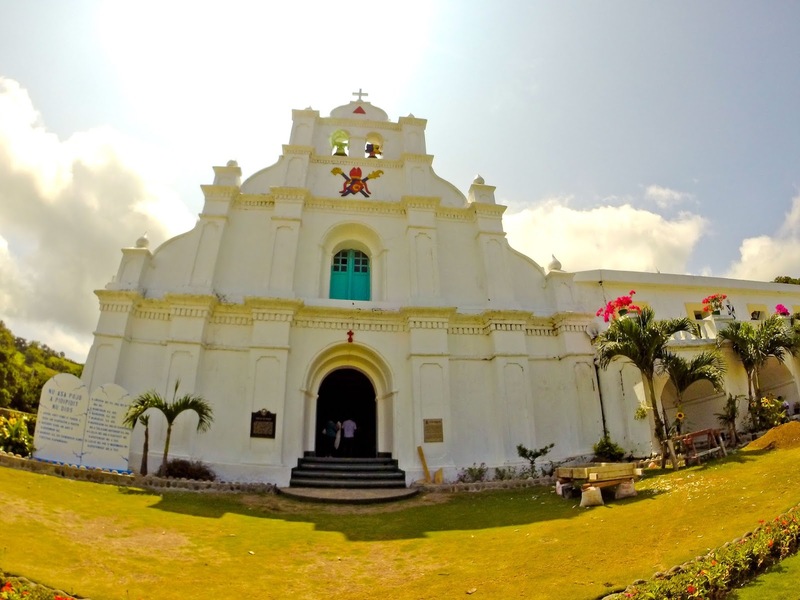 San Jose de Ivana Church was first built by Dominicans in 1787 serving the people of Sabtang, Ivana and Uyugan. 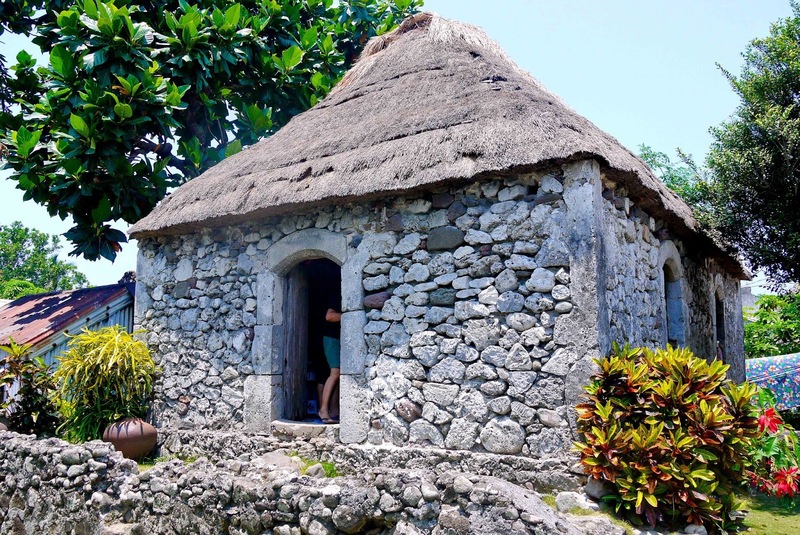 They later on renovated the church, reducing its size when the people of Sabtang were allowed to return back to their island after having been forced to be relocated in Ivana. The church faces the sea overlooking Sabtang Island. The port of Ivana which is situated just across the street is the nearest port going to Sabtang. Within the area just a few meters walk from the church is the famous Honesty Coffee Shop. Funny though that we were asked to get back on the van for a few second ride to the store. 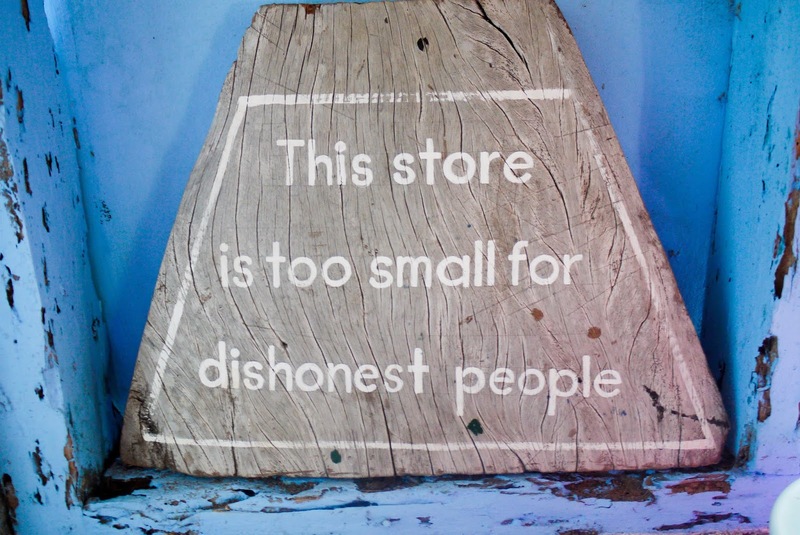 The Honesty Coffee shop is more of a walk-in sari-sari store than a cafe and there's no one manning it. 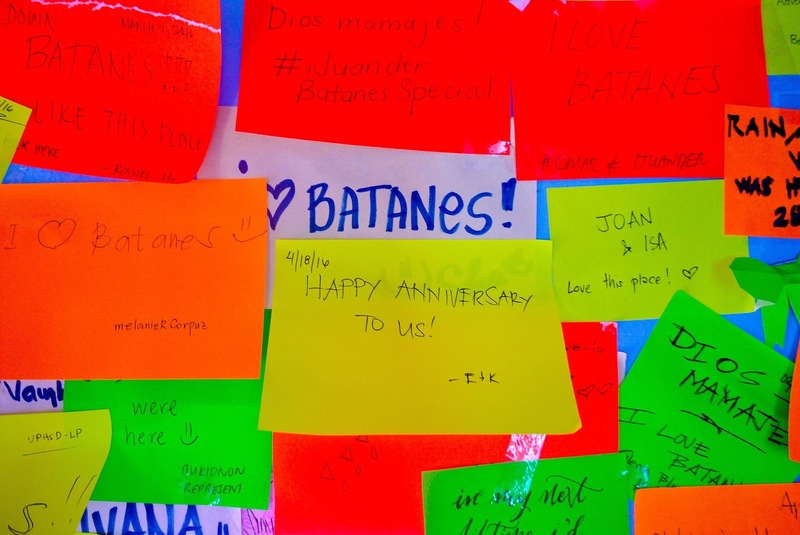 Owned by Elena Gabilo and her husband, it became famous for its concept of a self-service store wherein you get the products from the display, drop your payment on the box (exact change), and log your purchased items on the logbook. There's a table inside where you can take a rest and eat the snacks you bought. Of course, we had to leave a note. I wonder if we will see it again on our next visit. 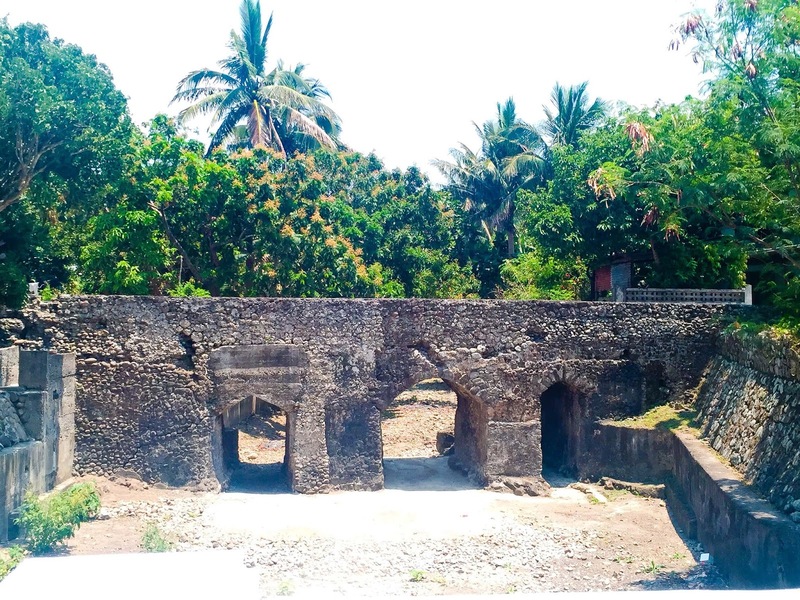 The Songsong Ruins is what remains of a barangay that was hardly hit by the Tsunami in the 1950s. Today, the locals are slowly inhabiting the place. The picturesque hills can be an alternative location for The Shire in LOTR. 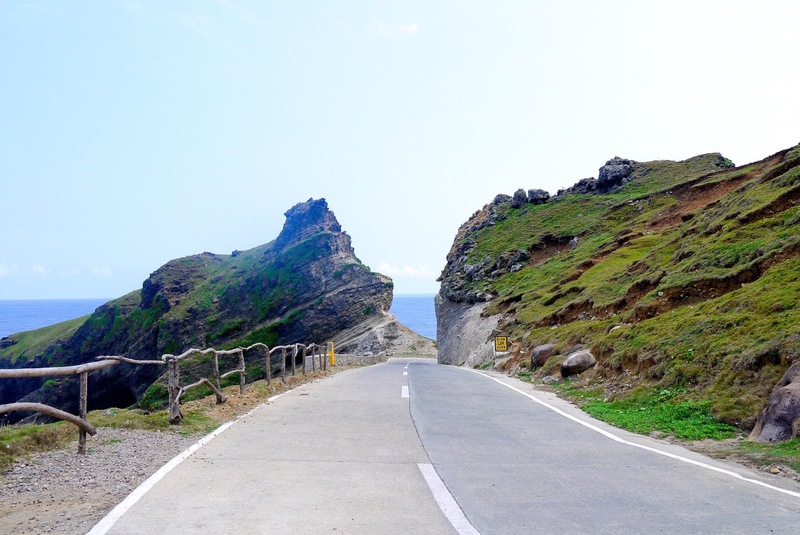 This is the location where the film, "Hihintayin Kita Sa Langit" was shot. 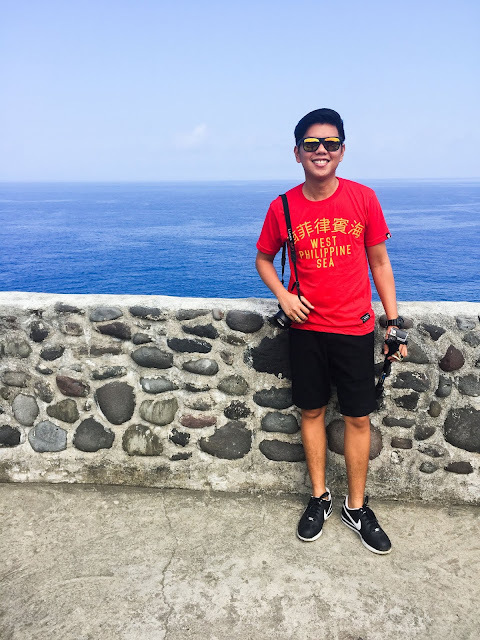 This exact spot is where the "I-dawn Zulueta mo ako" happened. And the perfect ending to our South Batan tour was Racuh a Payaman aka Marlboro Country. Despite its local name, people often call it Marlboro Country because of its resemblance to the location of the famous Marlboro ad. There's a small restaurant the viewing point. Some tour groups have their lunch here. I expected to see lots and lots of cows and carabaos but I was bit disappointed. Haha. Mt. Iraya is also visible from Marlboro Country and to the left, you can also see Tayid Lighthouse. 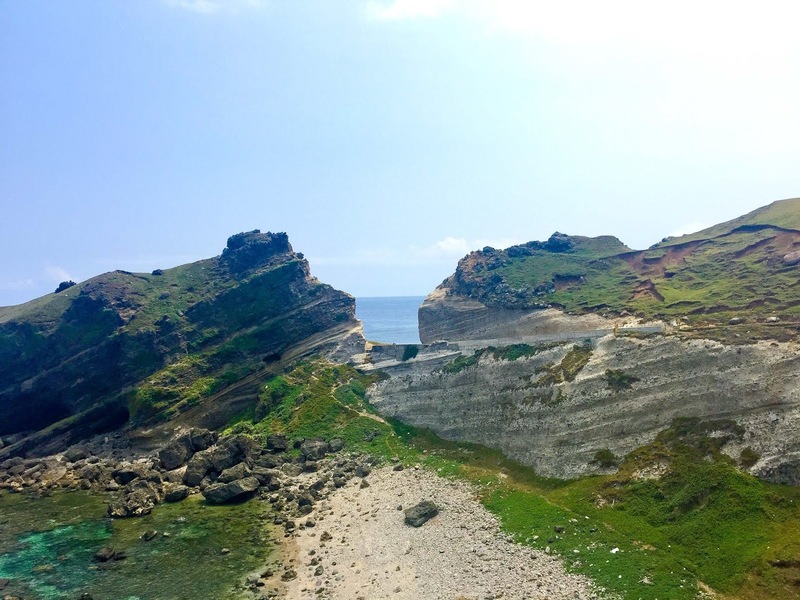 We've only just spent a day in Batanes but we were already stuffed with wonderful memories.